Gun Digest 2010 the digital edition brings together an impressive panel of gun writers, to a collection of 40+ firearms feature articles you won’t soon forget. The collection of articles includes the following: Gas-Delayed Blowbacks, The Magnificent Seven, Custom and Engraved Guns, The Elusive Gerfen Rifle, Classic .22s There are But Two, and many more. 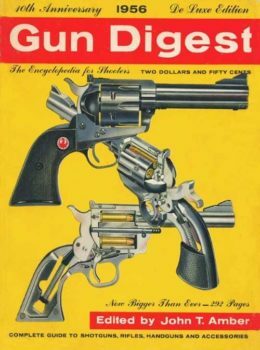 Among the usual Gun Digest annuals’ columns you’ll find in this download are airguns, blackpower revolvers, manufacturer’s directory, and arm’s library, among others .